The Tree of Life. A blueprint for life on earth. A structured form of meditation. A method to help you shift consciousness. An expansive way of being. Asharni Arlae is a qualified astrologer, with the Federation of Australian Astrologers (FAA). She is a Reiki Master/Teacher in both the Japanese and Western traditions of Usui Reiki and a member of the Association of Australian Reiki Professionals (AARP). 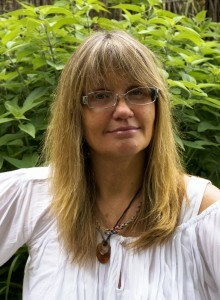 Asharni has personally studied Reiki with both William Lee Rand and Frans Stiene. She is also a Pellowah Healing Technique© teacher who has personally studied with Kachina Maan, the founder of Pellowah. Asharni has worked with Kachina on the spiritual path for more than fifteen years. Asharni is based in the Surf Coast area and is currently living in the beautiful seaside town of Torquay, Australia. She has a specific interest in mythology, ancient history and cosmology. She holds both a Bachelor Degree in Classics and Archaeology. As well as a Graduate Diploma in Medieval and Renaissance Studies from Melbourne University. Asharni is the founder of Tree of Life Kabbalah (TOLK),a teaching which provides a unique and experiential way to work with the Tree of Life. This combines astrology, tarot, chanting and meditation. Asharni has studied the Kabbalah with a number of teachers from around the world. Most recently she spent time in the United States with Chantmaster and Kabbalist Jonathan Goldman there she learned more about making sacred sound and working with the Tree of Life. Asharni’s great love, however, is astrology. Helping people to connect to land and sky; to the cycles and the seasons and to themselves. A birth or natal chart represents the energetic moment in time in which you were born. A chart prepared by Asharni can be used as a navigational tool ,,, a road map … a compass … which can guide you in your life’s journey. It can “place you into the story of your life”. This gives you a feeling of belonging and adds meaning to your life. It helps you understand why you act or react the way that you do. It helps you come to a deep understanding of yourself. This is empowerment. Through truly understanding oneself a person is then able to gain the freedom to make more empowered choices. FAA Diploma of Astrology. BA in Classics and Archaeology. Grad Dip in Medieval and Renaissance Studies. Reiki Master Teacher. Pellowah Healing Technique Teacher/Trainer. Codes for Change and Acceleration Teacher. Arbah Healing practitioner. Past Life Assimilation Technique practitioner.